Hey are you searching for the best sleeping bag in India? Indeed, green lush alpine forest, snow-capped Himalayan mountains or serene mountain lakes tempt you to break your squared daily routine. Therefore, you must have proper preparation for a multi-day trekking route. Along with that, you must have the right gear as per the altitude and weather of the trek. Like the other gears, sleeping bag for a trek is an absolute necessity at the sleeping time. At high altitude, when the freezing wind is piercing your camp, a good sleeping bag for trekking, indeed, will be the life-saving heaven for you. With regards to find the best sleeping bag for camping, you have to understand the qualities of the best sleeping bag in India. To spend a blissful night over a mountain, you must embrace the warmth greeting while sleeping. What is the difference between backpacking and camping sleeping bag? In general camping sleeping bags have plenty of room, and you can stay inside very comfortably but in the backpacking sleeping bags are more compact for easy packing and very light-weight. 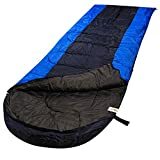 If you are planning to purchase the best sleeping bag in India for trekking and camping purpose, it would be better to go for backpacking sleeping bag. They are more convenient for you to pack inside a rucksack. They are the best refuge anywhere at any time. What is the sleeping bag temperature rating? Whenever you have unzipped your sleeping bag, you find the warmth of It Inside. At the higher altitude where the temperature is much lower you must need a sleeping bag to make you feel the warmth. Below you can find the list of the best sleeping bag in India for trekking with the different temperature rating. Apart from that there is a wide range of other factor affect your comfort zone inside the sleeping bag. It consists the factors like your dress while sleeping, humidity, wind, your metabolism, and many more issues. Rectangular – These sleeping bags have enough room to spread and stretched out your hands and legs inside it. Semi-rectangular – These are well known as modified mummy shape. Here you have to compromise a little with space and comfort zone inside it. Mummy – These sleeping bags look like a Mummy. They will hold your body temperature for a long time and makes you are very quickly. These sleeping bags are ideal for backpacking. Double bags – They are the bigger version of rectangular sleeping bags. A couple can fit inside the sleeping bag very, and they have more room inside. Right insulation is the most critical area that you have to look before you purchase the best sleeping bag in India. There are mostly two types of insulation- first, synthetic and second is down insulation. Sleeping bag with synthetic insulation is affordable, quick drying and non-allergic. On the other hand, down insulation sleeping bags are lightweight, better performance in cold and dry weather. Apart from that down insulation sleeping bags are compressed very easily. Naturally, they are backpacking friendly and durable. When you are buying a sleeping bag, you should also check the additional features and accessories available with this sleeping bag like pillow pockets sleeping pad sleeves sleeping bag liner storage sacks, etc. If you are purchasing reputed brand in sleeping bags, you can have all these additional features and extra accessories for convenience. Motorev Duck Down Feather sleeping bag is ideal for adults, and it is incredibly lightweight. Along with that, it has the breathable lining which is made of polyester fabric. As this sleeping bag is made of duck down feather, there is a chance to dampen in moisture. To protect the dark down feather, the outer layer of this sleeping bag comes with high-quality water-repellent materials. You can wash it both by hand and machine. Whether it is Spring summer or autumn, this sleeping bag is suitable for all seasons. ULTRA COMFORTABLE: Our sleeping bag offers a great warmth-to-weight ratio, is highly compressible and is extremely durable. EASY TO CLEAN AND CARRY: Two Straps at the bottom of the sleeping bag makes your cleaning easy and enjoyable. Iris Sleeping Bag is designed like an S-shaped quilt which makes it more durable. Along with that at this sleeping bag is made of core spun polyester and double field comfort loft filling. This sleeping bag is designed with a drawstring hood and inner pocket to make it more convenient and comfortable for the users. You can have rooms for your leg inside the bag. Along with that, this sleeping bag is very lightweight and excellent for outdoor activities. RuggedTrails All-Season Waterproof Hooded sleeping bag is very comfortable and perfect for all weather condition. It is sturdy enough for long lasting and keeps you protected from outside weather. The polyester material outside makes it water resistant and durable for a long time. Along with that, it is well ventilated with double layering protection, and the stitches have been made such a way that it can prevent heat loss from the body at winter night. A shoulder sack has been provided so that the sleeping bag can be compressed easily and put into in your backpack. Warm, Cozy and Comfortable to Sleep in whether it is Autumn, Spring or Summer or Winters. Lightweight - Does not Add Too Much Weight to your Already Heavy Camping Gear. Klair Dual Tone Nylon sleeping bag is perfect for your outdoor adventure like camping hiking etc. It is made of Nylon material and therefore it is long lasting waterproof and comfortable. The sleeping bag is suitable for winter outdoor adventure and give you a very restful sleep at night. 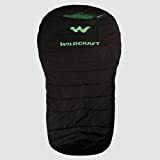 For serious backpacking or trekking, Wildcraft T-lite sleeping bag is perfect for you. It is made of high-quality polyester, and its quotient hood will give you a perfect sleep. This product has been ergonomically designed to prevent heat loss from your body parts like shoulder and knees. The compression straps of sleeping back cover make it more easily packable. You can use this sleeping bag in low temperature like -5 degree Celsius. Coleman Biker sleeping bag is ideal for adults and made of polyester materials. This mummy-shaped sleeping bag is perfect for bikers on the go. If you have minimal storage capability, this polyesters sleeping bag is the ideal fit for you. With the microfiber lining, the sleeping bag will provide you enough comfort, and it is very convenient to make space in your backpack. Trek 500 sleeping bag is very comfortable at the temperature of 15-degree Celsius. Whether you are trekking or camping in the area of 15 degrees to 25 degree Celsius zone, this sleeping bag will be a great companion for you. It is Ultralight for backpacking and multiple zips for body heat management. The sleeping bag is made of polyester lining with good padding and has a warranty of 5 years. It has excellent insulation to keep your body warm and comfortable on your trip. Trek 500 is a high altitude sleeping bag which serves you 0 degree to 5 degree Celsius. It is Ultra light and compact sleeping bag easy for backpacking. The sleeping bag is mummy shaped and very comfortable and easy for machine washing. With polyester lining and right padding, this sleeping bag offers you comfort and warmth at high altitude. If you are planning for high altitude expedition at sub-zero temperature Makalu II Down Sleeping Bag will be the perfect companion for you. It will keep you warm and comfortable at the sub-zero temperature like minus 10 degree Celsius. This mummy shaped sleeping bag will prevent the heat loss from your body and keeps you warm at cold. This sleeping bag is stuffed with down duck feather which makes it very lightweight and very warm.